CLOSEOUTS. 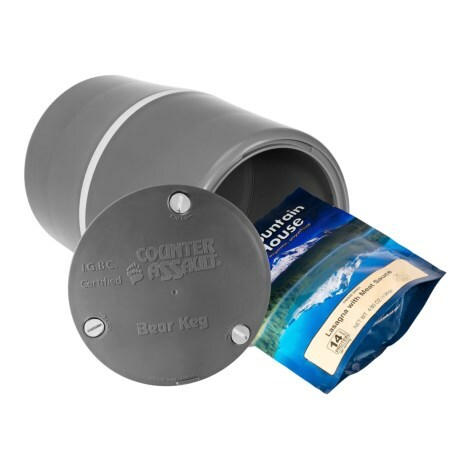 With nearly 12L of storage space, Counter Assaultand#39;s Bear Keg food container is a strong bear-resistant container that helps to protect your food (and the bears). Available Colors: GREY.